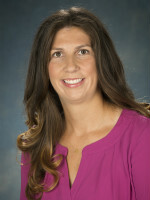 Kelly Purtell is an assistant professor of Human Development and Family Science in the College of Education and Human Ecology. She is a faculty associate at the Crane Center for Early Childhood Research and Policy and a faculty affiliate of the Institute for Population Research. Her research centers on understanding how contextual factors shape health and development among low-income children and adolescents, and on how policies and programs can enhance the developmental trajectories of these youth. Many of her current projects focus on policies and practices related to early childhood education and their influences on children’s development. The primary themes of her current work are: 1) understanding the role of preschool center directors in the production of quality learning environments; 2) developing a comprehensive understanding of the classroom ecologies that children experience from preschool to grade 3, and the policies that influence them; 3) examining the ways in which classroom age composition influences children’s learning and development in preschool; and 4) understanding barriers to preschool participation among low-income families. The Evaluation of Cincinnati Preschool Promise (2017-2018, Cincinnati Preschool Promise, $333,064). The project includes formative and summative evaluation activities of the recent ballot initiative to expand preschool access across Cincinnati. (PI: Purtell; Co-Is: Logan and Justice). Early Learning Network: Critical Contributions of Classroom Ecology to Children's Learning (2016-2021, Institute for Education Sciences, $4,493,683). This research will generate a comprehensive, empirically driven model of the dimensions of classroom ecology that shape children's academic and social development during the elementary grades. (PI: Justice, Co-Is: Purtell, Lin, Logan). Head Start Age Composition and Children’s Early Learning and Development: Understanding When and Why it Matters (2016-2018, American Educational Research Association, $34,000). This project examines how classroom factors and child characteristics modify the associations between classroom age composition and children’s learning and development in Head Start. (PIs: Purtell & Ansari). Producing High Quality Childcare: Barriers and Best Practices in Columbus Childcare Centers (2016-2017, The Ohio State University College of Education and Human Ecology Office of Research, $15,424).This project will survey local child care centers to document strategies these settings use to improve their quality. (PIs: Purtell and Logan). Supporting Low-Income Families: State Variations in Child Care Subsidies and TANF Policies and Children’s Developmental Ecologies (2015-2018, Office of Planning, Research, and Evaluation, Administration for Children and Families, $148,943). The project examines how child care subsidies and variations in them are associated with children’s contexts and development (PIs: Maguire Jack and Purtell). The Development of Low Income Children in the Context of Welfare and Food Stamps (2012-2014, Eunice Kennedy Shriver National Institute of Child Health and Human Development, $101,404). This project examined the role of social safety net programs in children’s development. (PI: Purtell). State Variation in TANF Benefits and the Development of Low-Income Children (2011, University of Michigan National Poverty Center Small Grants Competition, $7,200). This project examined how state variations in the TANF program were associated with low-income families’ likelihood of program participation. (PI: Purtell). Purtell, K. M., & Ansari, A. (2018). Classroom age composition and preschoolers’ school readiness: The implications of classroom quality and teacher qualifications. AERA Open, 4, 1-13. Khan, K., Purtell, K. M., Logan, J.A.R., Ansari, A., & Justice, L. M. (2017). The trade-off between television viewing and book-reading activities in the early home environment. Journal of Developmental and Behavioral Pediatrics, 38, 521-527. Ansari, A. & Purtell, K. M. (2017). Activity settings in full-day kindergarten classrooms and children’s early learning. Early Childhood Research Quarterly, 38, 23-32. Gershoff, E. T., Ansari, A., Purtell, K. M., & Sexton, H. R. (2016). Changes in parents’ spanking and reading as mechanisms for Head Start impacts on children. Journal of Family Psychology, 30, 480-491. Ansari, A., Purtell, K. M., & Gershoff, E. T. (2016). Head Start effects for parents: Who stands to benefit the most? Journal of Marriage and Family, 78, 1195-1207. Crosnoe, R., Purtell, K. M., Davis Kean, P., Ansari, A., & Benner, A. D. (2016). The selection of children from low-income families into preschool. Developmental Psychology, 52, 599-612. Ansari, A., Purtell, K. M., & Gershoff, E. T. (2016). Classroom age composition and the school readiness of three- and four-year old children in the Head Start program. Psychological Science, 27, 53-63. Crosnoe, R., Ansari, A., Purtell, K. M., & Wu, N. (2016). Latin American immigration, maternal education, and approaches to managing children’s schooling in the U.S. Journal of Marriage and Family, 78, 60-74. Purtell, K. M., & Gershoff, E. T. (2015). Fast food consumption and academic growth in late childhood. Clinical Pediatrics, 54, 871-877. Gershoff, E. T., Purtell, K. M., & Holas, I. (2015). Corporal punishment in U. S. public schools: Current practices, legal precedents, and future policy. Advances in Child and Family Policy and Practice, 1, 1-109. Henry, G. T., Bastian, K. B., Fortner, C. K., Kershaw, D. C., Purtell, K. M., & Thompson, C. L., & Zulli, R. A. (2014). Teacher preparation policies and their effects on student achievement. Education Finance & Policy, 9, 264-303. Purtell, K. M. & McLoyd, V. C. (2013). Parents’ participation in a work-based anti-poverty program can enhance their children’s future orientation: Understanding pathways of influence. Journal of Youth and Adolescence, 42, 777-791. Purtell, K. M. & McLoyd, V.C. (2013). A longitudinal investigation of employment among low-income youth: Patterns, predictors, and correlates. Youth & Society, 45, 243-264. Purtell, K. M., Gershoff, E. T., & Aber, J. L. (2012) Low income families’ utilization of the federal “safety net”: Individual and state-level predictors of TANF and Food Stamp receipt. Children & Youth Services Review, 34, 713-724.